An adorable addition to any favor or use on the baby shower cake. 2" in height. Please note that the girl only comes in the one style shown and the boys come assorted, so you cannot choose which boy(s) you will be getting. 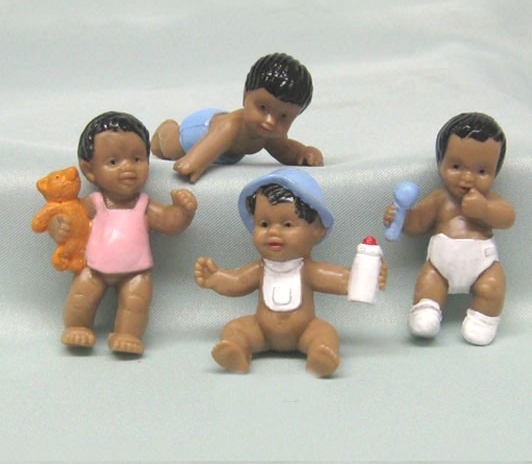 The assortment of the boys are the three shown, but they are sold by the piece, not the set. You cannot purchase the boys by one style. The boys come assorted ONLY. Color: Pink - only the one style shown.Blue - Assorted only no exceptions.